3. Do less. If you do less, you can do those things more slowly, more completely and with more concentration. If you fill your day with tasks, you will be rushing from one thing to the next without stopping to think about what you do. But you’re busy and you can’t possibly do less, right? You can. I’ve done it, and so have many busy people. It’s a matter of figuring out what’s important, and letting go of what’s not. Read more: The Lazy Manifesto: Do Less. 6. Stop worrying about the future - focus on the present. Become more aware of your thinking — are you constantly worrying about the future? Learn to recognize when you’re doing this, and then practice bringing yourself back to the present. Just focus on what you’re doing, right now. 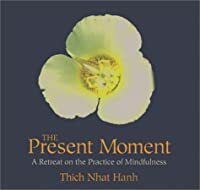 Enjoy the present moment. 10. Make cleaning and cooking become meditation. Cooking and cleaning are often seen as drudgery, but actually they are both great ways to practice mindfulness, and can be great rituals performed each day. If cooking and cleaning seem like boring chores to you, try doing them as a form of meditation. Put your entire mind into those tasks, concentrate, and do them slowly and completely. It could change your entire day (as well as leave you with a cleaner house). 11. Keep practicing. When you get frustrated, just take a deep breath. When you ask yourself, “What should I do now, Self?”, the answer is “keep practicing”. Awesome advice. I stared paring down my life to make it simpler a few years ago, first taking out too many commitments, then taking out TV. I am still looking for things to trim away for more silence and savouring and going slow. Happy to have stumble on this site. Nice article, bright words. You've a really great weblog. Most people do not comprehend what mind power can do to one's good results. You have an incredibly good blog. To become a prosperous human being the simple point is usually to have positive thinking.